With winter break here, I finally have time to work on some resources and products for my classroom. One thing I'm really struggling with is getting the kiddos to communicate during snack time. 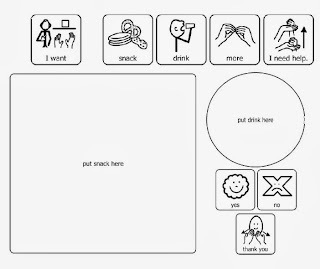 I have one student who is using picture exchange communication book to communicate and a few students who needs SO MANY verbal prompts during snack time to request things like help opening something or more food. In attempt to work on these little communication holds up, I made this snack mat. I printed it on card stock and laminated it. You can download it for free here. This is terrific! Thanks so much for sharing--just pinned it and shared it! What a great resource; I love your site! Chris, thanks for stopping by! I just saw that I was listed on your top 14 Sped. blogs to follow, thank you so much!!!! This is such a fantastic idea! 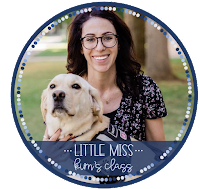 I found your blog via the list on Autism Classroom News - I'm always happy to find other sped bloggers! Happy New Year! I'm so excited about this! I've wanted placemats! I can laminate this and clean it. You can latest information regarding and download pdf official available JNVST Admit Card & get other imp details.